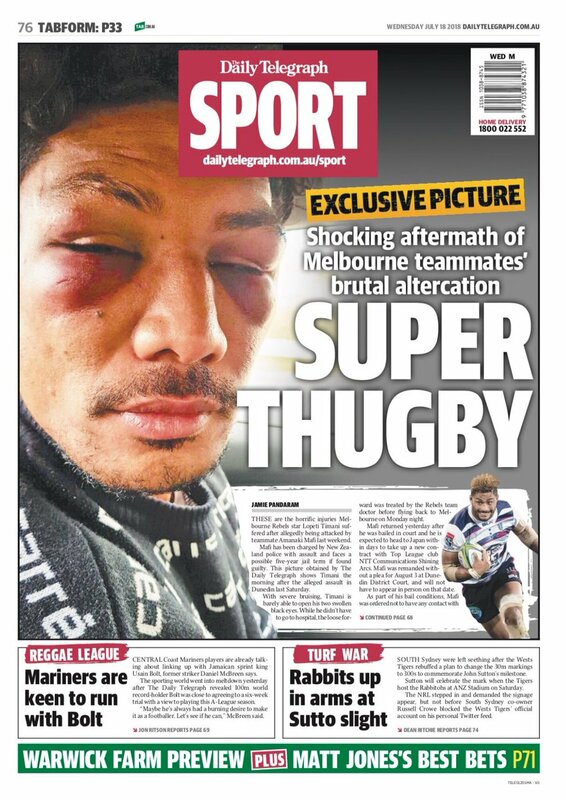 A photo has emerged of the brutal facial injuries suffered by Rebels player Lopeti Timani in an alleged attack from his teammate at the weekend. 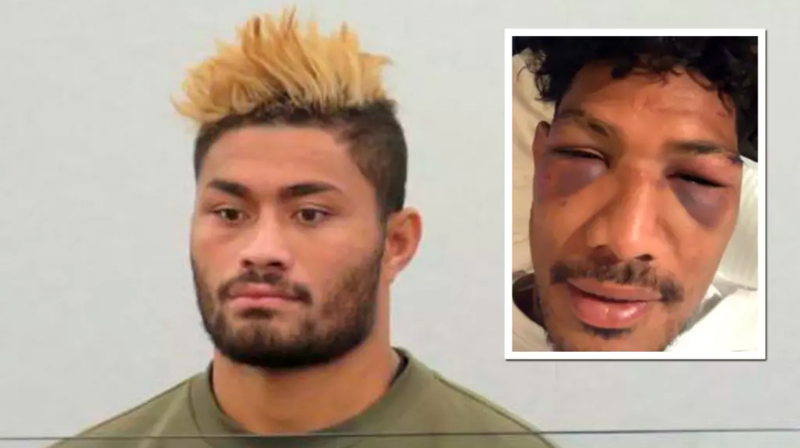 Timani and his alleged assailant, Rebels No.8 Amanaki Mafi, were slapped with $15,000 fines for their involvement in a late-night bust-up in Dunedin on Sunday. Mafi, 28, a Japan international and 2017 Australian Super Rugby Player of the Year, is facing a serious assault charge of injuring with intent to injure, an offence that carries a maximum sentence of five years imprisonment. With severe bruising, Timani is barely able to open his two swollen black eyes. While he didn’t have to go to hospital, Timani was treated by the Rebels team doctor for his injuries before flying back to Melbourne on Monday night.